Gorilla Glue Autoflower seeds are one of the latest additions to our selection of high quality autoflowering marijuana seeds, containing all the traits and characteristics of its conventional feminized counter-parts. 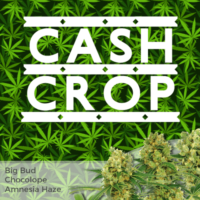 Enjoy dense, sticky buds and a soaring high from these easy to grow seeds, perfect for all levels of experience and growing methods, both indoor and outside. A complex strain, Gorilla Glue Autoflower seeds are comprised of three different varieties blended together; Sour Dubb, Chem’s Sister and Chocolate Diesel. The dominant 70% Indica genes produce a compact plant with multiple cola’s and budding sites. While the addition of the Ruderalis gene produces plants that are both easy to grow, and flower automatically, regardless of the number of hours of darkness they receive. 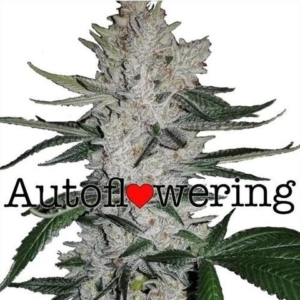 Unlike conventional marijuana plants which require twelve hours of regular, uninterrupted darkness per day to flower, autoflowering seeds will flower under any lighting conditions, with maturity controlled by age, rather than the number of hours of darkness the plants receive. This can be a huge benefit for outdoor growers, giving them the opportunity to grow and harvest fresh, high quality marijuana early in the season, rather than waiting until the early Fall to enjoy their buds. Combining the vegetative and flowering phases reduces the time Gorilla Glue Autoflower seeds require from sprouting to harvest. Whether you choose to grow indoors, or outside, once germinated and sprouted, autoflowering plants grow and flower simultaneously through to maturity, reducing the overall time from planting to harvest to approximately 56 days, or just eight weeks. 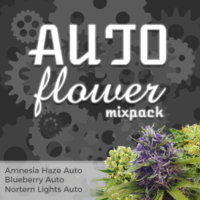 With these automatic flowering abilities, Gorilla Glue Autoflower seeds are perfect for planting outdoors once the Spring arrives. Requiring just two months to fully grow, flower and mature, planting seeds during the Spring and early Summer, will generate a constant supply throughout the season, well before traditional cannabis and marijuana seeds begin to flower later in the year. The Gorilla Glue marijuana strain is well-known for its large, sticky buds and powerful effects, and these traits are just as evident in this autoflowering version. Requiring very little previous experience or special attention to grow a high quality crop, makes these auto seeds highly popular with outdoor ‘guerrilla growers’ who can quickly and quietly, plant these seeds in secluded places, returning two months later to harvest their crop. Yields are good considering the short time required for the plants to fully mature, generating approximately 5 oz of potent, powerful buds per plant when grown outside and given plenty of space, sunlight and fresh air. Gorilla Glue Autoflower seeds can also be grown indoors, producing around 6 oz per square meter under a constant 18 hours of light per day and given plenty of fresh air. A potent and powerful strain, expect THC levels of approximately 26% to quickly relax both body and mind. A great night-time smoke, it can ease stress, and insomnia, reduce pain, as well as improving one’s appetite. Completely feminized, all Gorilla Glue Autoflower seeds are devoid of any male chromosomes, guaranteeing each seed produces a strong, vibrant female plant. Sold in complete packs of 5, 10 and 20 seeds, enjoy a selection of secure payment methods and large discounts on the larger sized packets. 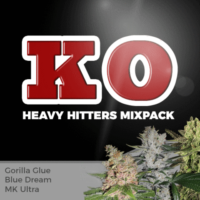 All of our highly recommended Gorilla Glue Autoflower seeds are dispatched directly by I Love Growing Marijuana, one of the world’s leading producers and suppliers of high quality marijuana seeds. Enjoy first-class customer support and guaranteed delivery to all parts of Europe and the USA included in the price. Potent automatic strain producing dense, sticky buds. An elevated THC content of up to 28% produces a fast, powerful high that can leave the user relaxed and almost sedated. Fast, automatic strain that’s easy to grow both indoors and outside, with a natural immunity to rot and mold. Indica dominant genetics and a medium CBD content produce a pain-reducing body-buzz and euphoric high. Perfect for growers of all levels of experience, these potent and powerful autoflowering seeds are easy to grow and a perfect choice for the outdoor grower looking for a fast harvest. Grow your own dense, sticky buds in under two months and enjoy some of the tastiest buds and THC levels of approximately 26%, strong enough for even the most seasoned smoker.